Calvin Klein Beauty Eau de Parfum Spray is rated 4.7 out of 5 by 11. 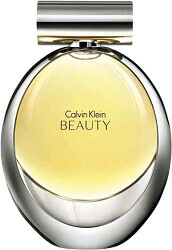 Rated 5 out of 5 by Trudie from Beautiful perfume, lasts throughout the day. It is admired by many people who have commented on it. Rated 5 out of 5 by Maka from I'm very happy with this product! Fast next day delivery, beautifly wrapped as a gift, great service!